WASHINGTON — The JACL offers the John Moy and Southwest Airlines Internship, a program that allows young leaders to gain public policy and leadership experience in a congressional office. 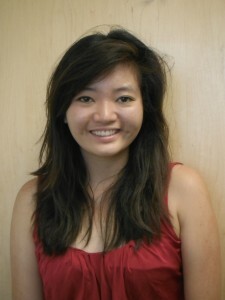 The JACL’s newest congressional intern is Mina Uehara, a JACL member from Sunnyvale. She has been working in the office of Rep. Xavier Becerra (D-Los Angeles), vice chair of the House Democratic Caucus. A graduate of UC Davis, Uehara majored in economics. She served as a finance assistant at Democracy for America in Vermont and completed an internship in the district office of State Sen. Darrell Steinberg’s (D-Sacramento). She aspires to be a head policy adviser for a state representative. Reflecting upon her internship experience, Uehara wrote, “As an intern in the office of House Democratic Caucus Vice Chair Xavier Becerra, I have had opportunities many of my politically involved friends dream of. While I spend most of my time at the office researching congressional members and policies, the most exciting part about this internship is attending member meetings. I’ve had the opportunity to see how members interact and work together. For more information on JACL internships, fellowships and scholarships, visit www.jacl.org.